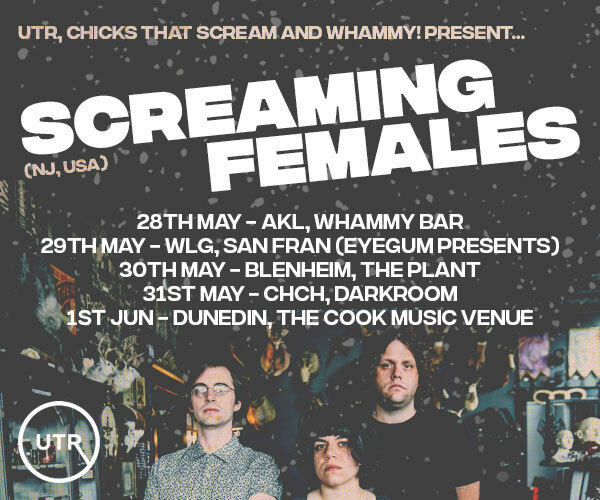 The Wonderfish Collective are excited to announce a new show this April, as part of the Devonport Arts Festival. Four song writers from within the band (Al Baxter, Robbie McKegg, Alex McKegg and Nick Edgar) will showcase their original material performed with some of the Collective and strings. The first half of the show will be an intimate affair with the band consisting of Nick and Alex on guitar, Al Baxter banjo/guitar, Emily Allen violin/viola, Maxine Cunliffe cello, Glenn Coldham bass and Rusty Knox drums. Things will step up in the second half when the ‘strings are attached’. The singers and band will be joined by a 14-piece string orchestra drawn from the Devonport Chamber Orchestra and Auckland Symphony Orchestra. The orchestra will be led by Wonderfish Collective member, Helen Crook and we’re excited to be working with the super-talented Ryan Youens who will conduct and write the orchestral arrangements. Ryan who is an accomplished music orchestrator, arranger and copyist. 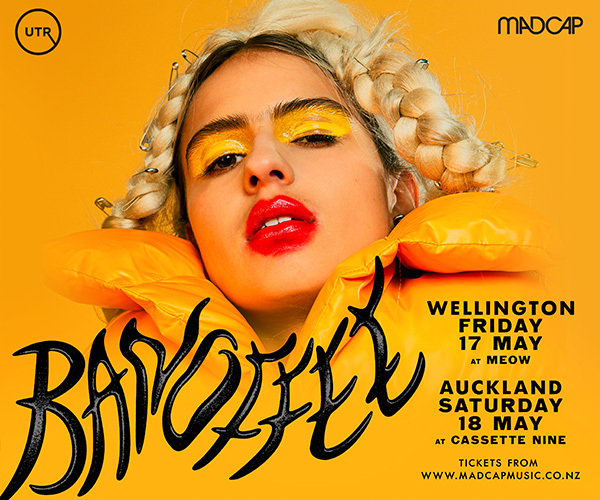 He regularly works with New Zealand’s leading orchestras, including the New Zealand Symphony Orchestra and Auckland Philharmonia. Recent projects include string arrangements for Rhian Sheehan’s new album ‘A Quiet Divide’, music preparation for Neil Finn’s latest album and concert at Sydney Opera House, orchestrations for Sol3 Mio and The Koi Boys, and is the arranger behind Auckland Symphony Orchestra’s ‘Synthony: A Generation of Dance Music’ sell-out shows. 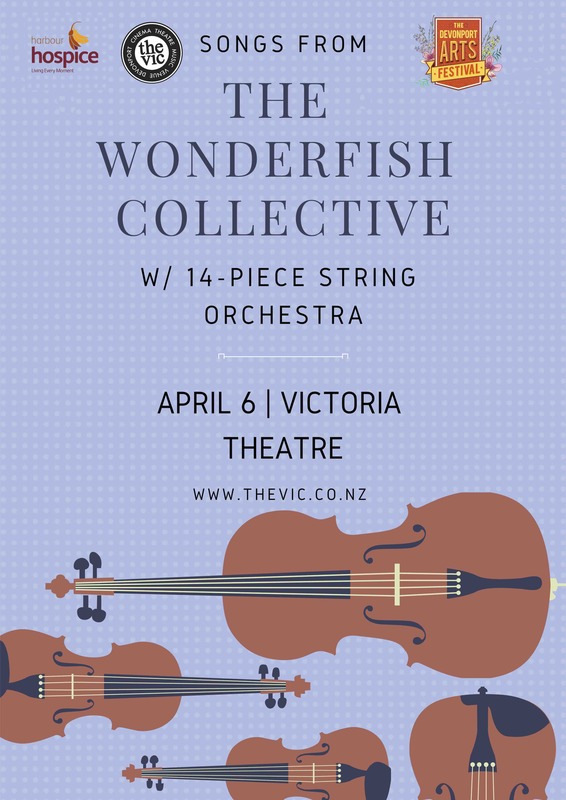 ‘Songs from the Wonderfish Collective with Strings Attached’ will be performed at The Victoria Theatre, Devonport on Saturday 6th April (as part of the Devonport Arts Festival). 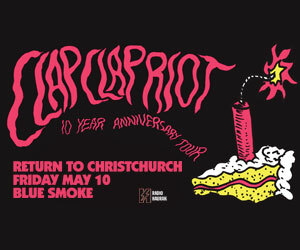 Tickets from www.thevic.co.nz | All profits donated to North Harbour Hospice.